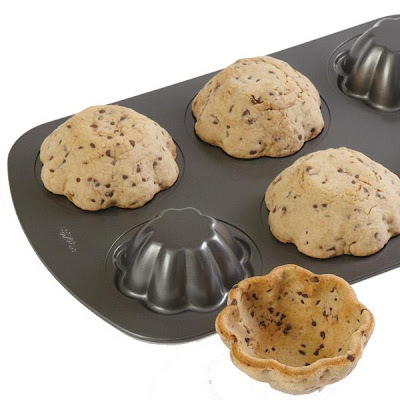 Wilton has a great tutorial showing you how to use the bottom side of a muffin tin to create these fun cookie bowls. They are perfect for the next time you are serving ice cream at a party. Your guests will love them and you will have less dishes to wash. Win win. These are so cute! Did you try using one yourself? I'm wondering if the cookies might be more dry. cant wait to try this!! thanks for all the great things you post!! !